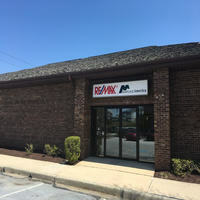 Welcome to RE/MAX Main Line. Serving you in 3 locations. RE/MAX Main Line agents are the folks next door - for the maximum in real estate service, you've also found a friend. Equally important, RE/MAX Main Line associates are active in their communities. Under the auspices of the Chester County Community Foundation, the real estate agents at RE/MAX Main Line created a non-profit organization, RE/MAX Main Line Charitable Foundation, to fund special projects designed to assist the less fortunate in the communities we serve. A large portion of the funds come from our agents contributing part of each of their settlement proceeds to the Foundation. RE/MAX MAIN LINE in West Chester, PA presents property listings for homes for sale in West Chester. RE/MAX can handle your real estate needs.